Bandwidth usage is the sum of all incoming and outgoing traffic on your hosting account, and includes visitors accessing your website, incoming and outgoing emails and FTP uploads. 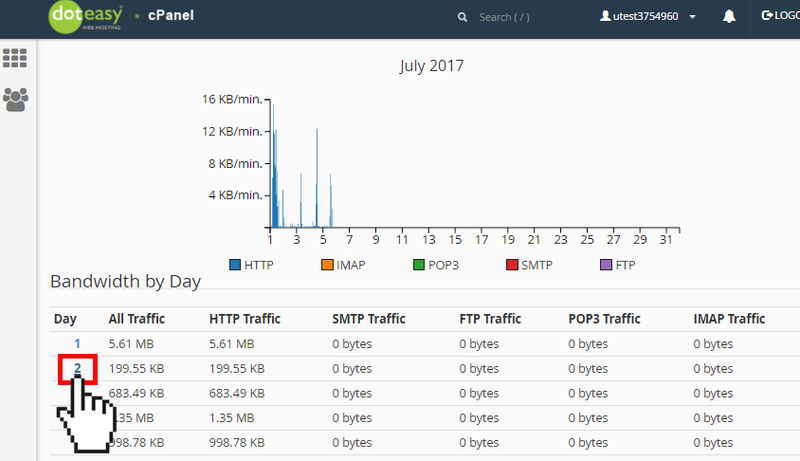 When you log into your cPanel you will see a short summary of your Bandwidth Usage on the right panel. 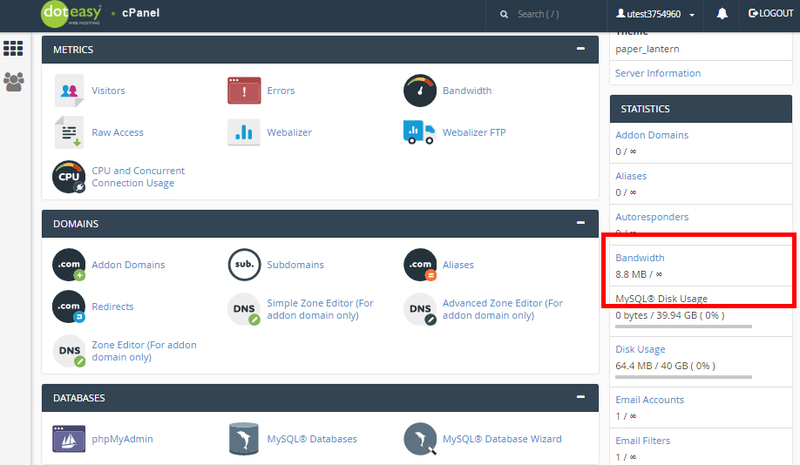 Full details of your Bandwidth Usage can be found by clicking on Bandwidth under Metrics in cPanel. 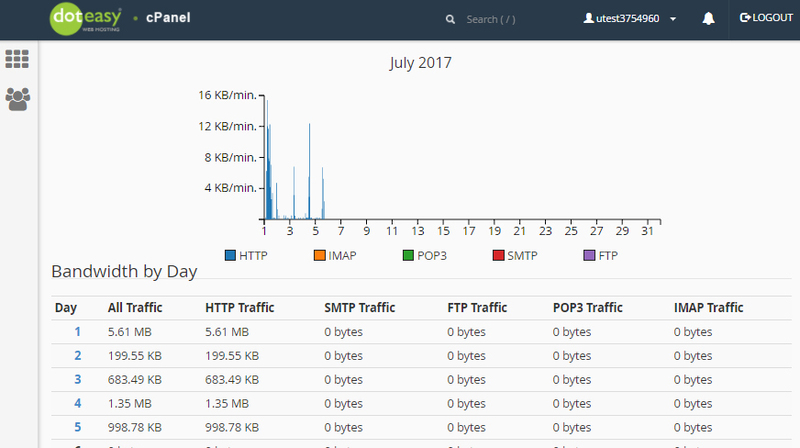 You can also view daily bandwidth usage from the Bandwidth interface. Simply click on the link from the monthly summary. When you click on these links, you will get a more detailed summary on the daily bandwidth usage of that month. 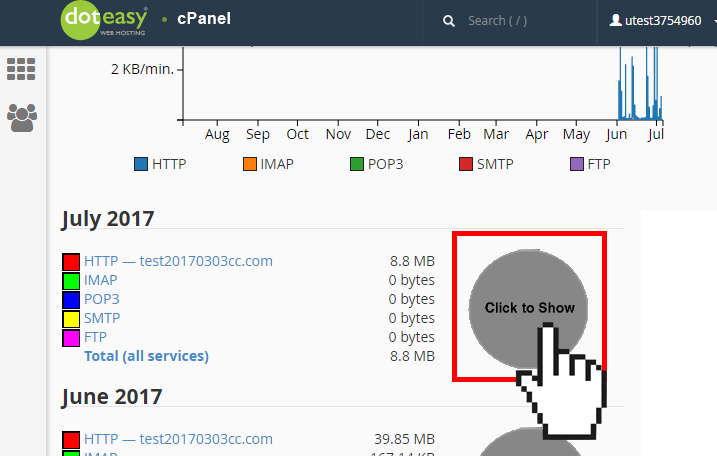 You can also view hourly bandwidth usage of any specific date from the Bandwidth interface. 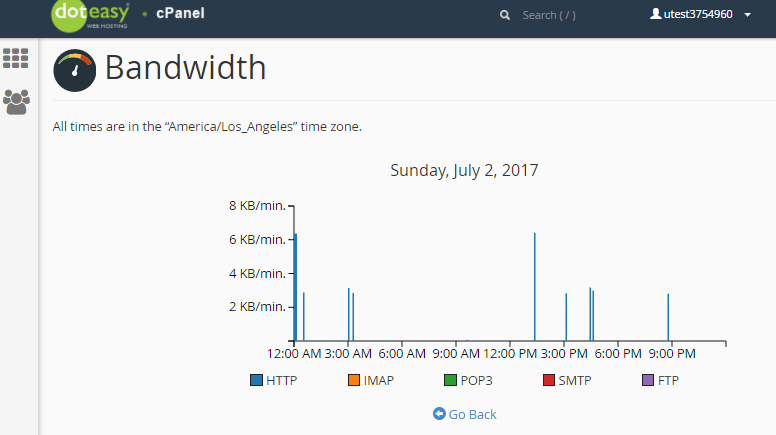 Simply click on the date number on the daily bandwidth interface for hourly bandwidth usage for that day.